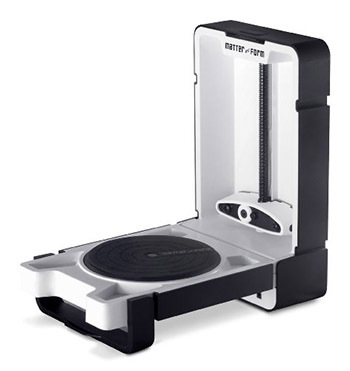 The Matter And Form 3D Scanner is a great idea. You throw a small object into it, and it’ll turn scan it into a 3D file that you can edit on your computer, and then print with a 3D printer. Except that it doesn’t work, rendering dark areas as holes, and shiny or transparent areas as scrambled garbage. The customer reviews include a guy who covered his scanned objects in flour to get them to scan correctly, and someone noting that the scanner scans the scanner itself, adding the rotating platform to your 3D file as part of the model.